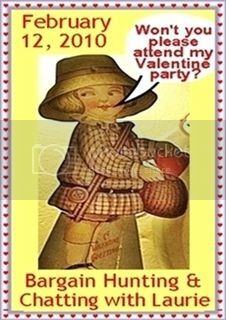 The Thrifty Groove: Upcoming Valentine's Day Blog Party! Upcoming Valentine's Day Blog Party! I invite you to link any post pertaining to Valentine's Day decor, or a Valentine card, or tablescape -- If you want to share a photo of your wedding, or write something about the love of your life (which could be your pet), etc., that would also be welcomed at my party.